Is she not the cutest or what? There are times where I definitely wish I had a girl. There are so many fun accessories you can make for them, but I wouldn't trade my little man for anything in the world! My lovely sponsor, Lion Brand Yarn Company, recently sent me some super fun and bright yarn that I knew I had to use for a summer time accessory craft. The yarn that I used, pictured above, is the Hometown USA - Neon Pink yarn, size super bulky 6. I love the Hometown USA yarn! It's soft and doesn't fray easily as other yarns I've worked with. It's a definite go to yarn in my opinion. 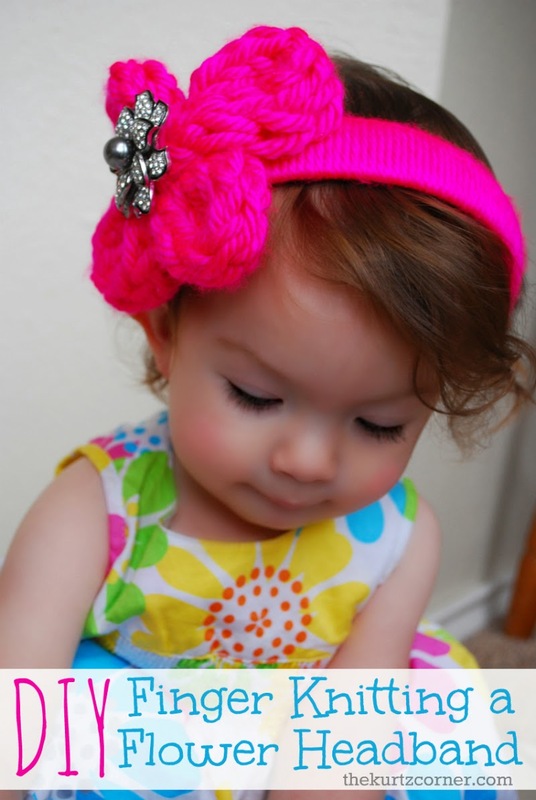 This finger knit flower headband is quick as easy to make, even kids can do it! (Parents manning the hot glue gun of course!) This is perfect for summer or fall accessories. 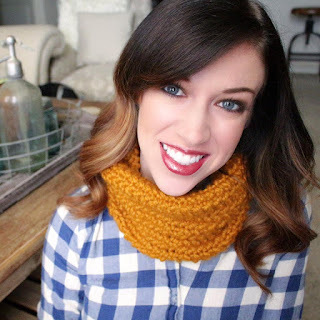 Use bright yarn colors for summer and warmer colored yarns for the fall and winter. You can add rhinestones or any embellishment of your choice to jazz up your flower. Below you will find a list of supplies and I have included a easy to follow YouTube video with directions, have fun! If you enjoyed this video be sure to subscribe to The Kurtz Corner YouTube channel for weekly DIY videos like this! Hi! Thanks for such a cute tutorial! Could you provide instructions for a six petal flower?